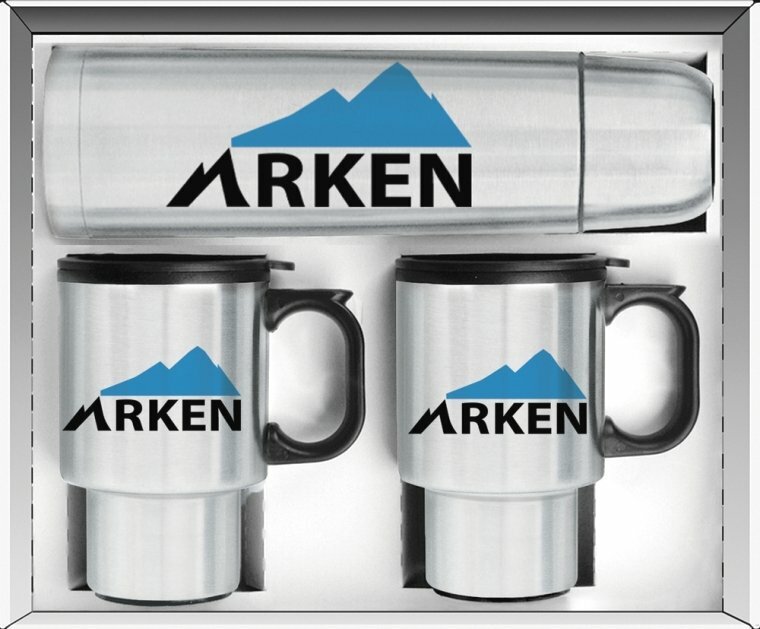 Serve up your logo in this Thermos and Mug Gift Set at the lowest cost possible. Applications do include company, employee gift item or client presentation gifts. a 32 oz. SS Double Wall Vacuum Insulated Thermos with a logo printed. This stainless gift set is packaged in box suitable for gift wrapping. Optional gift box imprint add a $55 setup & $1.39 each gift box. SafePack Cartons are required add $7.00 per 15 unit carton. Use of cold or hot beverages is recommended. a one color imprint one side of the SS thermos 2 5/16" w x 6 3/8" h.
imprint color add a setup & a run charge $1.99 each set.